On Monday morning, UK Government announced the official outcomes of the second auction of renewable energy. The cost of winning offshore wind projects (57.50 pounds per megawatt hour) are now 50% lower than the first auction held in 2015. This auction allocated 15-year contracts for the winning projects, to give certainty for clean-energy investors and secure electricity supplies. 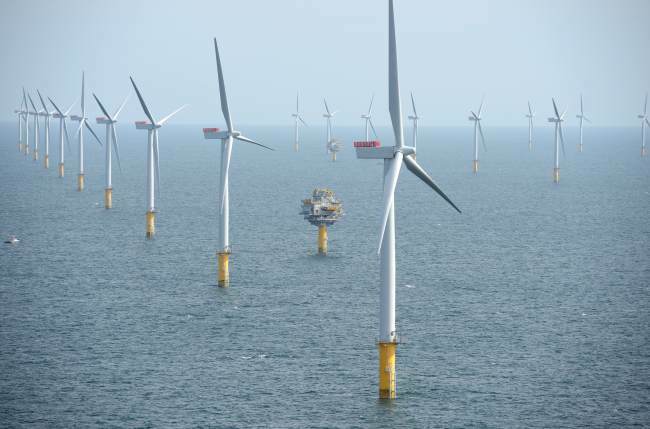 The projects awarded with the 57.50 pounds will be commissioned in 2023, totalling 2.3 GW. There is more information at this link. Greenpeace claimed that this record breaking price drop of the offshore wind energy sets a huge moment for the UK energy sector, due to the fact that the price of offshore wind power is now 50% cheaper than just two years ago. “This means we are witnessing a big revolution in UK energy sector”, according to Hannah Martin. Additionally, some renewable enthusiasts underline one remarkable fact: the Hinkley Point C, a 3.2-GW new nuclear plant to be commissioned in 2025, secured subsidies of 92.50 pounds per megawatt hour. Offshore wind is 38% cheaper, and even more, the agreement to acquire the energy is shorter than the nuclear 35-year contract. “We knew today’s results would be impressive, but these are astounding”, claimed the the ‘RenewableUK’ Association.